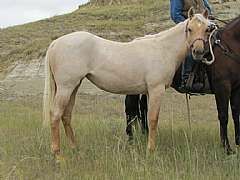 'Sunday’ is a 2010 palomino roan mare and is a full sister to our 2007 chocolate palomino, Zan Charm N Cash JW and 2009 blue roan, Zan Frost N Dash JW. Their dam is a dark chestnut roan and their sire is a dark buckskin and we now have three full sisters on opposite ends of the color spectrum. 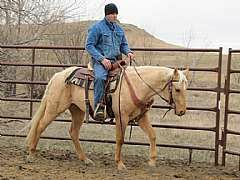 Sunday is very well bred and comes from Grantier Quarter Horses. We really like her build and disposition. Much of her pedigree is self-explanatory. 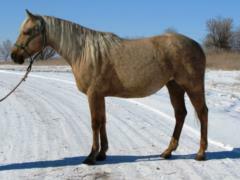 She is a great granddaughter of Sun Frost, Caseys Charm and Miss N Cash. Dash For Cash and Zan Parr Bar are just off her papers. Dewesun is a grandson of Alamitos Bar and goes back four times to Johnny Dial. This is another one of those wonderful speed and cow combination pedigrees. 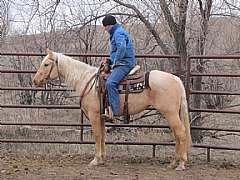 She was started under saddle as a two year old and did very well. She had a very smooth gait and is very quick on her feet. 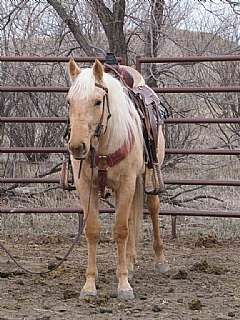 Her saddled pictures are of her fall 2012 as a 2 year old. We were satisfied enough with her abilities to place her in the broodmare bunch. 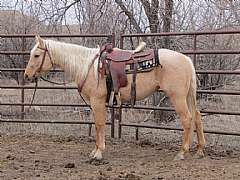 She had a 2014 bay stallion, Whiskey Up Bandit JW. 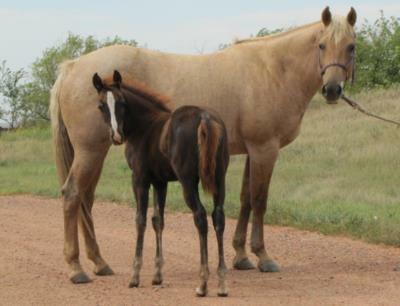 with Whoop Up Whiskey; had 2015 off to just be a mama as we do with our first time mares; had a 2016 chestnut filly, Paddys Gin Fury JW with TRR Paddys Texas Gin; and is being exposed to a third Paddys Irish Whiskey son, Hiline Whiskey, for 2018, unfotunately she lost the foal and now is exposed back to Whoop Up Whiskey for a 2019 baby. FOR SALE: We have had a couple years of pretty bad drought and although we have good moisture and pastures this year, we have a huge hay bill from this past winter. 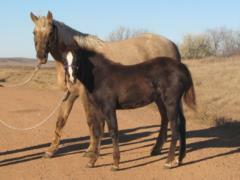 This mare we purchased from Grantier Quarter Horses as a weanling as we had 2 older full sisters. Sunday was broke to ride as a 2 year old with around those initial 60 days of riding. Sunday carries both roan and creme genes. She is 5 Panel NN. 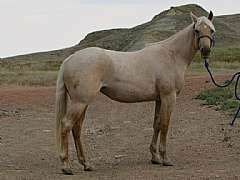 She lost a late born 2018 foal in September but is vet check back in foal due approximately September 1, 2019. No live foal guarantee. 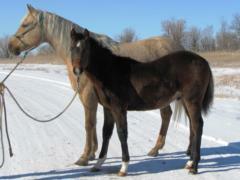 This foal will be a full sibling to her 2014 baby, Whiskey Up Bandit JW.